This is a solid decision, and has been the undeniable turning point in many sober lives today. Once the decision is made, the next question is WHERE. Should you choose a local treatment facility close to home? That would make sense, right? At first glance, a local program may seem like a no-brainer decision, until you dig a little deeper. Let’s take a look at some of the main reasons more people are choosing the out-of-state option for their recovery journey. Why Is Out-of-State Inpatient Treatment Effective? Displacing yourself from the city or state you live in may seem like a dramatic step to take but the truth is doing so will cut the connections you have with drug dealers, and remove those habitual driving patterns that lead to the liquor store. To be somewhere completely new to you means having a fresh start, a new perspective. You’ll be able to think clearly without the thoughts of the nearest supply creeping up. Furthermore, inpatient facilities offer 24/7 accountability giving an incentive to turn down substances. Choosing an out-of-state inpatient center presents the opportunity to experience a completely new environment. Imagine yourself relaxing by the water, listening to waves wash up on shore, sand between your toes and warm weather 24/7. This is just a taste of what The Shores Treatment and Recovery Center has to offer. A warm, tropical environment with water nearby is also proven to raise your neurotransmitters, which helps your brain to recover. When vacationers say they feel better, clearer and healthier in the sunshine state, they are making a very true statement. Florida’s climate is especially conducive to addiction recovery. Not everyone is ready to let the world know they are recovering from substance abuse or alcoholism. Traveling out-of-state for your treatment allows a level of privacy you won’t get in your home town. Being in a new location will allow you to recover without the worry of running into peers, coworkers, or acquaintances while you are enjoying outings or visiting a local park during your time in addiction treatment. There is a feeling of safety that comes with out-of-state care. The Treasure Coast of Florida is known for having one of the largest and strongest recovery communities in the United States. The Shores Treatment and Recovery has a large percentage of alumni who have made the decision to remain in the area after completing their stay at The Shores. These alumni have formed a strong, supportive community and have built new, productive lives. Support is vital during recovery and many individuals find that returning to their home state is too much of a relapse risk. Of course, being out-of-state isn’t the right decision if the treatment center isn’t a good fit for your needs. At The Shores Treatment and Recovery, we provide everything necessary for your recovery journey: in-house detox, individualized counseling, group therapy, nutrition and amino acid replacement therapy, massage and chiropractic care, acupuncture, yoga, art therapy, planned excursions, a peer support group, a controlled environment, strong alumni, and a loving, supportive environment. At The Shores Treatment and Recovery we treat every person as an individual, creating a recovery plan specifically tailored to each client’s needs. 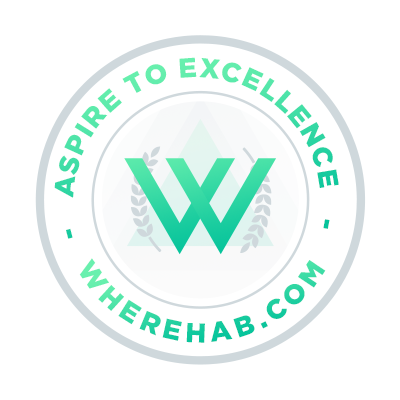 In doing so we are able to provide the best conditions for addiction recovery. Are you considering getting help for yourself or a friend? Contact The Shores Treatment and Recovery today. We believe every life can be restored, and we look forward to helping you.